Ever get bored riding the "L"? Tired of texting, or talking on the phone, or reading the paper, or daydreaming? Want to just look out the window and watch the city go by? A century ago there wasn’t much to do on the train except read the paper or look out the window. 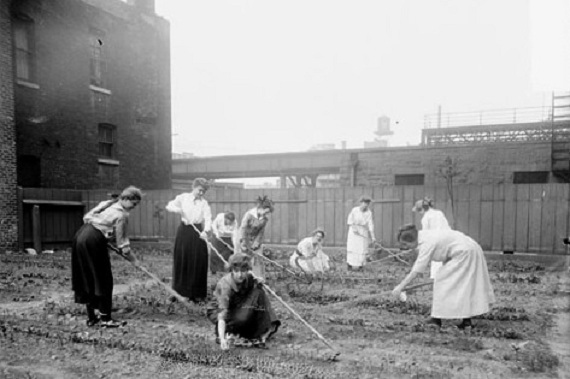 That’s why there was an "L" floral contest in 1910. The idea was to get the people along the line to spruce up their property. Two years before, the Tribune had partnered with a fertilizer company to select Chicago’s best front porch garden. The new contest was sponsored by the Northwestern Elevated Railroad, one of the city’s privately-owned transit companies. 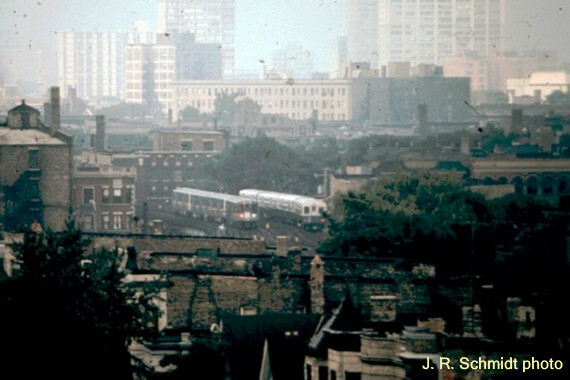 Northwestern’s service covered the modern Brown line, and the Red line north of Belmont. The contest was open to all outdoor floral displays visible from the Northwestern tracks. Five judges from the Industrial Club had been riding around in a special train to inspect the entries. On this date 102 years ago – July 23, 1910 – the winners were announced. Northwestern did not skimp on the prizes. First place in any of six categories was worth $50, close to $1200 in today’s money. Cash was awarded for backyard gardens, window boxes, and porch displays. No one was surprised that one of the awards went to Mathias Overton of 3649 North Sheffield Avenue – he had taken the grand prize in the 1908 Tribune contest. The most startled winner was Mrs. J.P. Hutchinson of 5430 North Winthrop Avenue. The Tribune called the 1910 floral contest “The ‘L’ Beauty Show.” Maybe it’s time for the CTA to sponsor a revival.